Experience the OxyGeneo™ Super Facial! 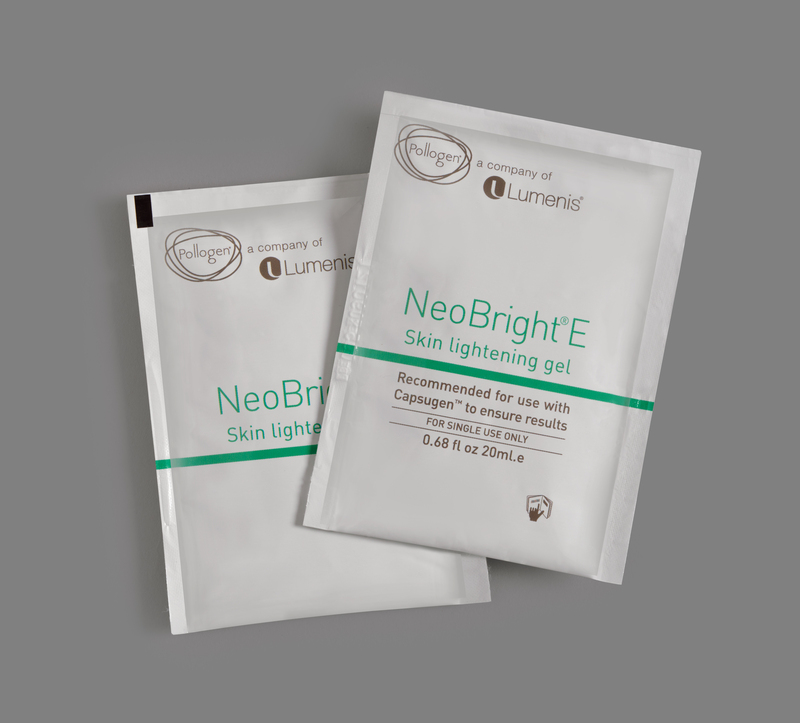 NeoBright reduces skin pigmentation and sun damage while lightening the skin’s complexion. Azelaic Acid is a well-known agent that is used to treat skin hyperpigmentation conditions that decreases the activity of pigment-producing cells. 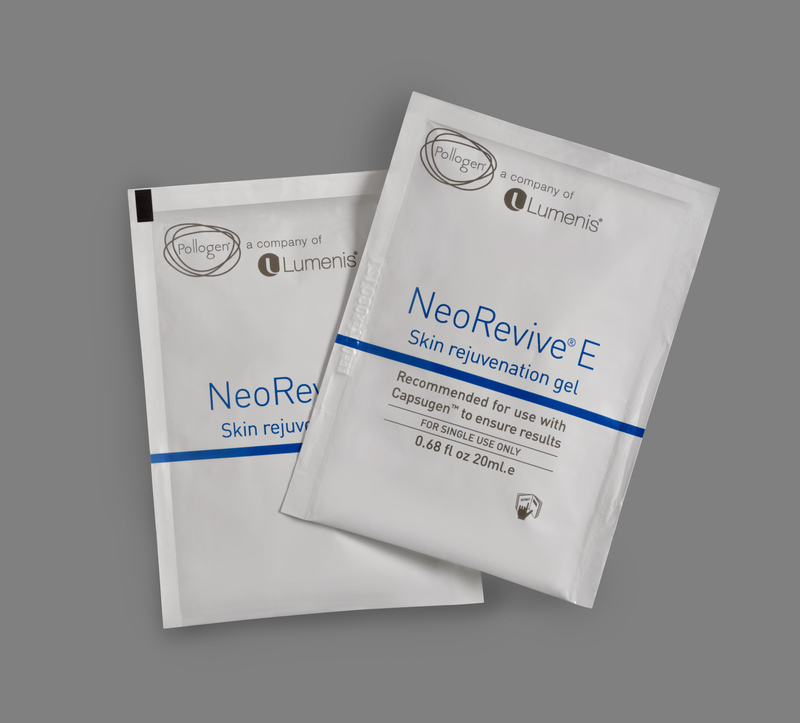 NeoRevive smooths the appearance of fine lines and wrinkles and revitalizes dull complexion. I have been working with the Geneo device since October 2013 and the results continue to amaze my clients. The texture of the skin changes immediately with the unique capsugen exfoliant (micro), the skin is absolutely radiant from the stimulation of oxygenation, and the infusion of the essential actives for the anti-aging or brightening is apparent in just one treatment (I also complement the treatment with concentrates and creams). I also take pre and post pictures to show my clients the type of results we can achieve with just one treatment. Thank-you DermaSpark for the geneO! OxyGeneo facial treatments have transformed my skin's appearance dramatically. My hyper pigmentation is less visible and my skin is left feeling brighter, vibrant and refreshed. I am extremely pleased with my results from my OxygGeneo treatments. I have noticed a significant difference in the brightness of my skin and overall texture. I have some sun damage from my child hood and I was pleased to see a difference in my problem areas. I would recommend OxyGeneo to everyone, there is no other facial like it. I thank my colleague and DermaSpark rep for having a conversation with me about the OxyGeneo. This innovative platform made such an exciting difference in my business. I am so thrilled with the OxyGeneo, my clients love the service and are seeing real results almost immediately after their first treatment. The client referrals that we have been receiving have been phenomenal. I am looking forward to adding another one too! Just wanted to thank you for the great device I bought from you. OxyGeneo is working out like no other device I’ve ever bought. My clients are extremely satisfied with their results, noticing diminished lines and lighter pigmentation marks, less break outs and smoother skin. I had few clients calling me the day after the treatment and thanking me for the outcome. Thank you again! OxyGeneo™ is an innovative technology for skin exfoliation (removal of dead skin cells from the skin surface), improving skin oxygen levels and infusion of valuable products to enrich the skin. The simultaneous skin exfoliation along with skin oxygenation optimizes the absorption of the valuable components in the nutrient-rich gels into the skin. OxyGeneo™ capitalizes on the Bohr Effect that was discovered by Christian Bohr in 1904. The effect indicates that when the CO2 (Carbon dioxide) concentration increases, the hemoglobin releases oxygen from within. The OxyGeneo™ interaction between the capsule and the treatment gel creates abundance of CO2 on the skin that triggers the Bohr Effect that oxygenate the skin naturally. Oxygenating the skin is beneficial in all anti-aging and corrective skin procedures. An OxyGeneo™ treatment feels like a massage for the face. The exfoliation is described as very refreshing and comfortable and, because there is no vacuum procedure (like with other facial devices) the overall treatment is more soothing and relaxing. Many clients fall asleep and wake feeling rested and rejuvenated. More sensitive skin type clients may have a warm sensation on the skin during the first part of the treatment. Micro simply sands the skin and doesn’t have any additional product benefit. Although some / most spas will add product at the end of the treatment in the way of a mask etc. Results are inconstant as some products are better. Product freshness and sterilization can vary greatly from spa to spa. The Geneo infuses enriched product with full anti-aging and whitening benefits. These ingredients are ALWAYS fresh as each treatment gel is vacuum sealed and new for each client providing optimum product freshness. The Geneo exfoliate on wet skin (rather than dry) which makes the treatment easy and pleasant with no skin irritation etc. No hygienic and infection concerns as the capsule that actually does the exfoliation is disposable. The Geneo uses a large area capsule: not only does it make the treatment faster (much faster!) but also more enjoyable. The OxyGeneo oxygenates and infuses ingredients to the skin while the microdermabrasion just sands or scrubs it. It uses and infuses to the skin the ingredients of the treatment gels: Hyaluronic acid, Azelaic acid etc. The treatment is very quiet without the irritating noise of the vacuum pump. As microdermabrasion is irritating, it is very common for a client to experience break outs 4 days post treatment. This is largely due to irritation which causes swelling of the skin and an anaerobic environment develops allowing bacteria to flourish. The Geneo provides superior exfoliation with little irritation thus subsequent breakouts are rare. Can I have an OxyGeneo™ treatment if I have acne? Yes. Because the exfoliation isn’t irritating and because the OxyGeneo™ is a non-vacuum device, you can treat areas of the face affected by simple acne. Consult with your OxyGeneo™ technician about your specific skin concerns. What should I expect to see and feel after OxyGeneo™ treatment? After the OxyGeneo™ treatment the skin is rich with oxygen and nutrients of the jells, it will look smooth, soft, shiny and radiant. The skin feels fresh, soft and active. The use of a vacuum (like with a mircrodermabrasion device and other infusion technologies) can damage the capillaries and cause visible small veins over time. Because the OxyGeneo™ is a non-vacuum device, it’s safe for use on all skin types (including sensitive skin), in capillary-rich areas of the face such as the nose, and on the sensitive skin around the eyes and mouth. To treat skin issues such as sun damage or acne, once a week treatments are recommended. Scheduling an OxyGeneo™ treatment once a month to treat the skin is the perfect long term anti-aging maintenance program. Your skin care specialist will set you up with a schedule that best suits your needs. Can I have OxyGeneo™ treatment to look better before an event? Yes! 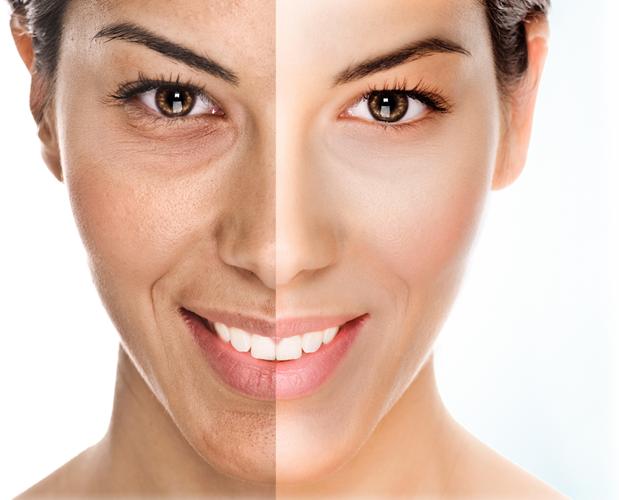 The OxyGeneo™ treatment has no downtime and the skin looks and feels great right after the treatment. If you have an upcoming event, schedule your OxyGeneo™ treatment on the same day or a day before and the effect will be well visible during the event. This depends on your skin type and skin condition. Your practitioner will recommend the best jell for you. If you have pigmented lesion (dark spots) or dark skin, most probably the NeoBright™ will be the right choice for you. If you want to improve the overall appearance of the skin and reduce pores, the NeoRevive™ could be better and/or combination of the two. Again, your best resource is your professional practitioner that was well trained to use the Geneo. What is the difference between the OxyGeneo™ and infusion technologies that use vacuum? There is a significant difference between technologies that are whisking product across the skin and the Geneo enriched product that is layered over the entire face and is left on the face during the exfoliation and infusion process. Firstly, the oxygenation process causes enriched blood to come to the surface of the skin all over the face, not just where the small vacuum tip is applied as with other technologies. This enriched blood is the transport system of the skin cells. The product is applied to the entire face and worked into the exfoliated skin for a prolonged period of time. The product has plenty of time to be absorbed over the entire face where the enriched blood carries it off to feed cells and provided the wanted benefits. Previous Dermal Infusion technologies had to work with a watered down product so that product would flow, and wouldn’t be obstruct the tubes. The OxyGeneo™ products are enriched with Hyaluronic Acid, Peptides, antioxidants etc. and can be produced in optimum concentration as it is applied directly to the skin. To summarize: the OxyGeneo™ treats the entire face over the entire treatment time. Watery infusion technologies exfoliate using vacuum (not good for capillaries) can only treat a small area at a time (the size of the end of the tube) and the product is simply whisked across the skin which doesn’t give enough time to truly be absorbed.